392 p., 18,2 x 25,5 cm. The most important texts of medieval grammar books are still hidden in manscripts. 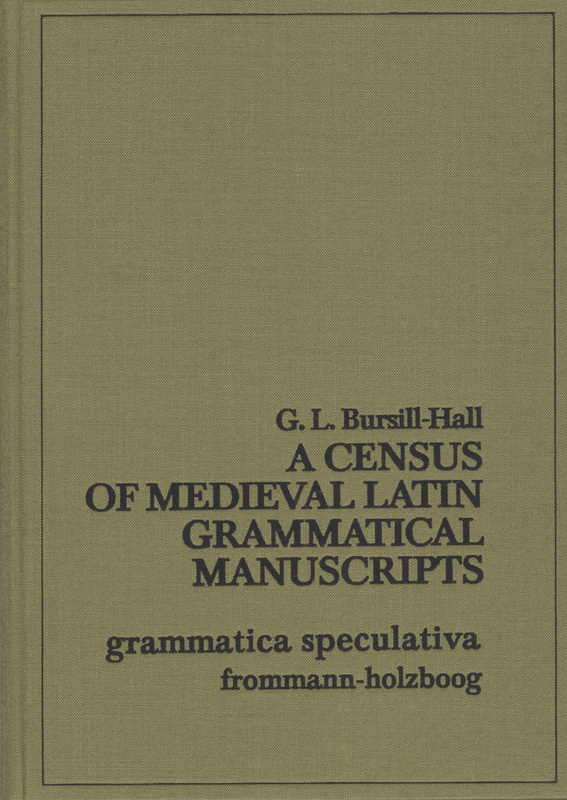 Bursill-Hall’s impressive list of manuscripts of medieval grammar books is based on first-hand studies of manuscript collections in Europe and the United States. This first collection and inspection of the comprehensive material is an important prerequisite for further work in this field.